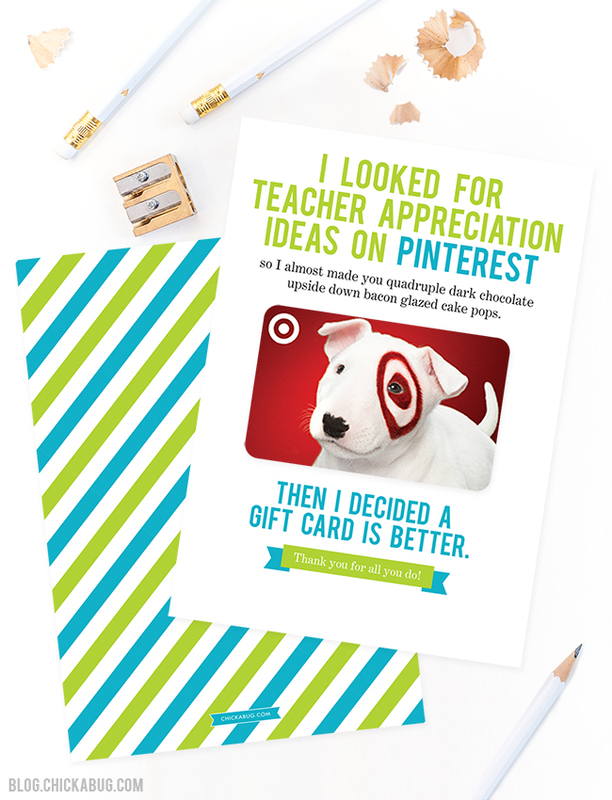 Teacher Appreciation Week is next week, and – let’s be honest – ain’t nobody got time for making a bunch of crafty stuff as seen on Pinterest. Especially not when gift cards can be the most welcome gift of all (don’t you think?!). 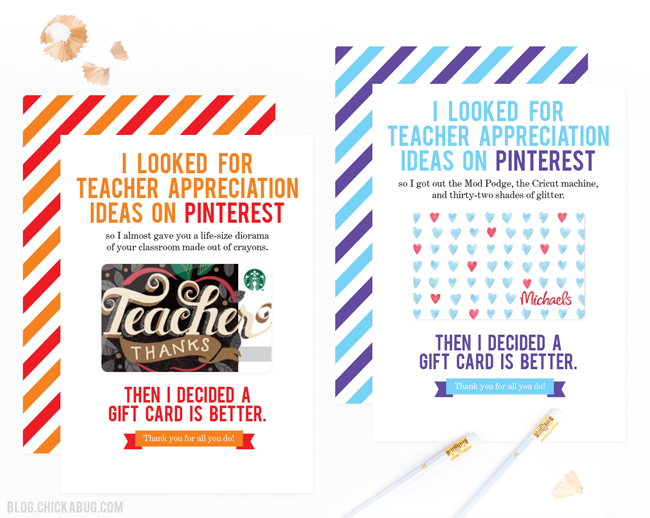 Grab these all-time-favorite free printable Teacher Appreciation cards and you’ll be the hit of the class! The cards are 5″x7″ and fit size A7 envelopes. Or go without an envelope to be the ultimate low-key DIY-er! You can add the jazzy patterned back for that extra touch, if you’d like. Just stick on your gift card (I’d recommend using double-sided tape) and you’re ready to rock. There are three fun designs included, each with different sayings and in different colors. Download them all by following the instructions below! Enjoy!! Can,u please,send,me the orange you glad its Friday enjoy ur,weekend,printable?